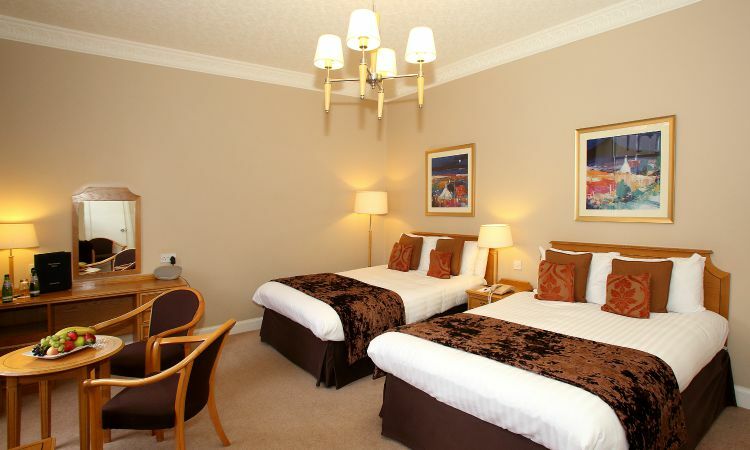 Lovely spacious rooms for your weekend away! Platinum Girls & Hen Package for the ultimate girls breakaway! Fab Intoxicating Tea Party in Robes! Have fun with your Hen Weekend - these ladies look lovely in little black dresses! Enjoy your Platinum Girls Hen & Spa Escape at the Best Western Inverness Palace Hotel & Spa. The Palace Platinum package has been designed for the ultimate of Girl’s & Hen breaks. It is also popular for for birthday celebrations, girly escapes or a girls shopping break. Platinum offers you the chance to enjoy a fantastic escape from your normal routine and lots of fun too! It offers a superb package packed with entertainment, luxury, fantastic nightlife, extravagance and fun! If you are looking for the piece de résistance of hen nights, then look no further than your Platinum package. Organised specifically for you and your glamorous girls, this package will give the Hen a great last week or weekend of freedom and memories that will last a lifetime! Brand new Brasserie & Bar – you can start your night in the lovely stylish new Bar with Cocktails or the new Gin Menu and come back to your midnight munchies by the fire! New – for all prices download full details below and enjoy an extra nights at the Palace at a fab price – download the full package below. New – the amazing Girly Weekend Intoxicating Tea Party the newest addition you can make to your celebration. It is a great add-on to your package and fab to include it into your ultimate girly weekend away itinerary! Chilled Glass of Prosecco on your arrival to start your Escape or soft drinks if you prefer. Free Early access to a nightclub (before 11.30pm) for your party! Delicious 3 Course Dinner your party will enjoy a Delicious 3 course evening meal so you catch up & build some energy for the dance floor! Spa Treatment of your choice at Sleeping Beauty at the Palace or Sleeping Beauty Salon (near the hotel) choose from mini manicure, facial or make over - go on spoil yourself!!!! Midnight Munchies just what you need to finish off the evening. Free use of the Leisure Club during your stay, enjoy a dip in the pool or catch up with the girls in bubbling Jacuzzi. Free Wi-Fi Internet access so you can keep in touch with those back home. Car Parking ease into your stay, just drop off your keys and we can valet will park your car for £6 per day.